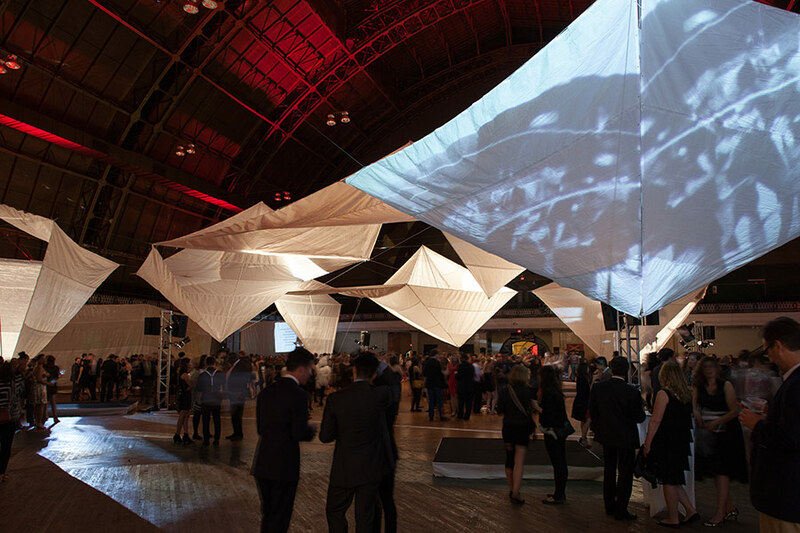 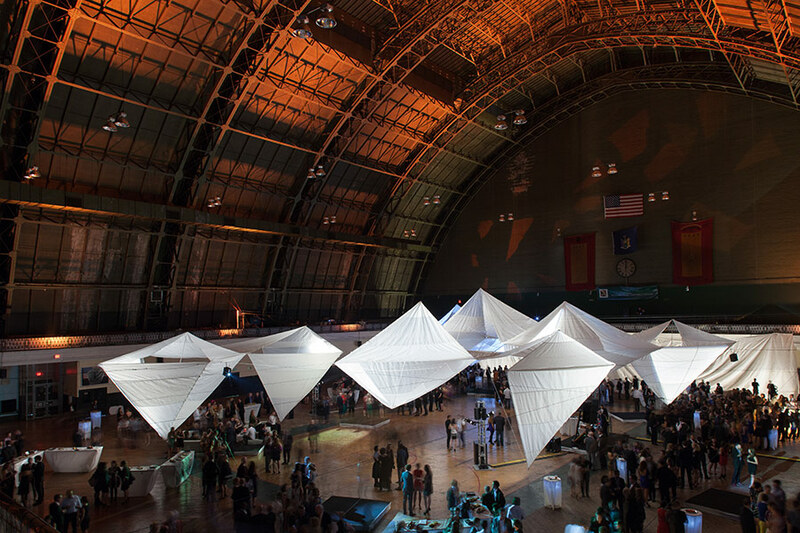 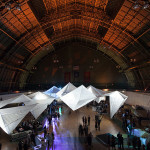 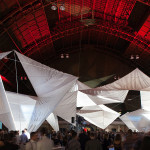 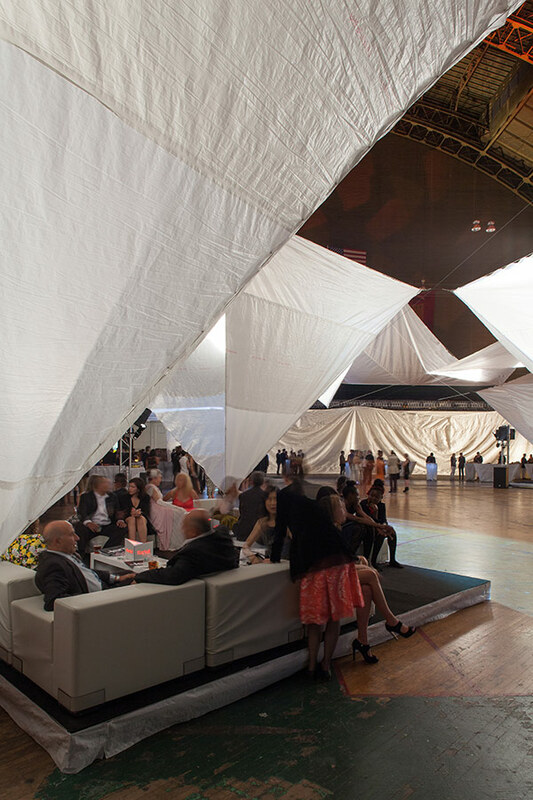 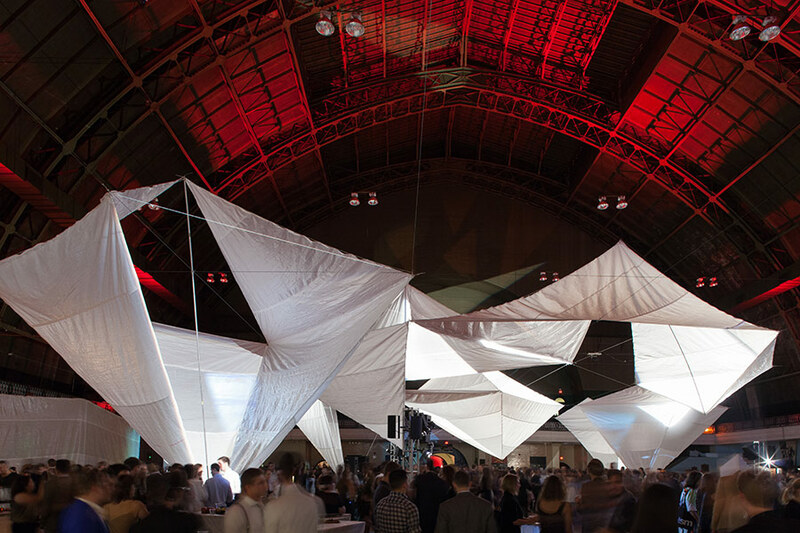 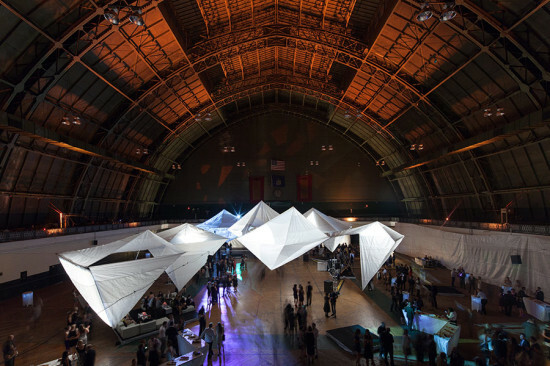 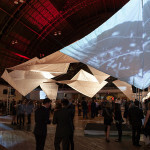 On Saturday night, New York’s architecture community gathered in Manhattan’s historic 69th Regiment Armory to celebrate the Architectural League of New York on the centennial of the original 1913 Armory Show. 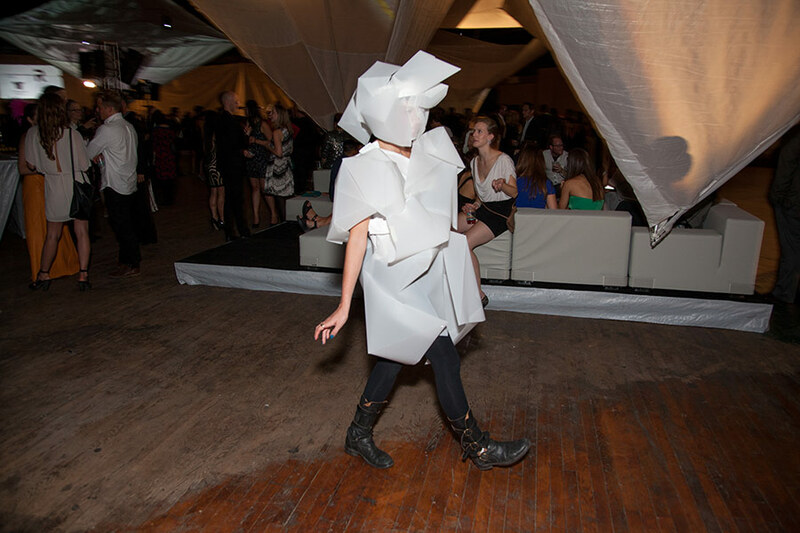 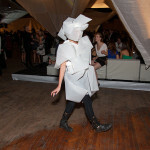 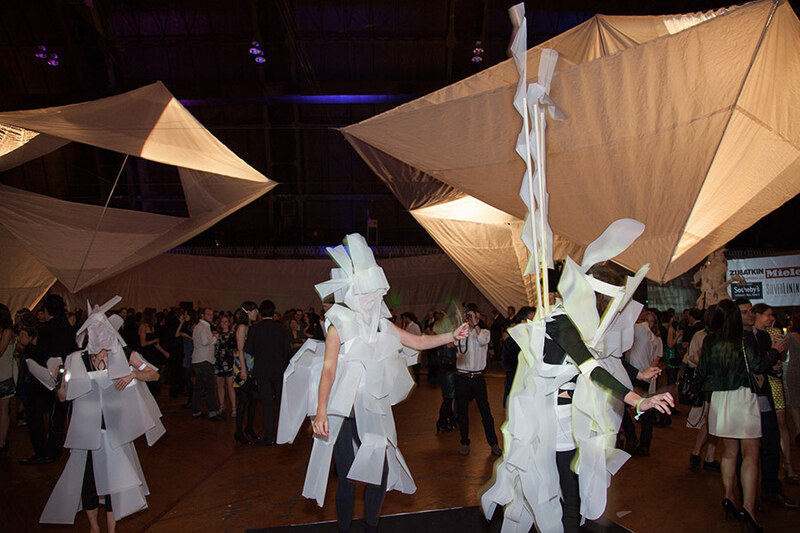 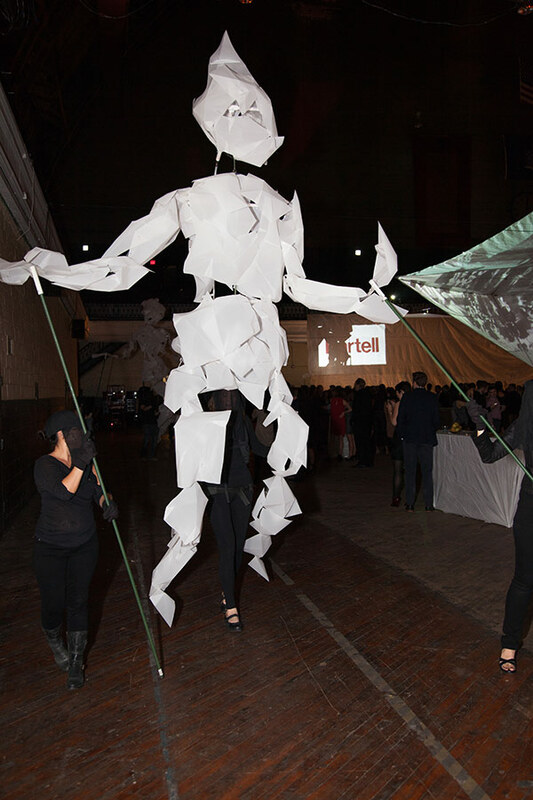 The sold out party welcomed 1,350 design-minded revelers dressed as their favorite “–ism,” the theme of this year’s event, representing everything from surrealism, revivalism, Dadaism, classicism, and brutalism. 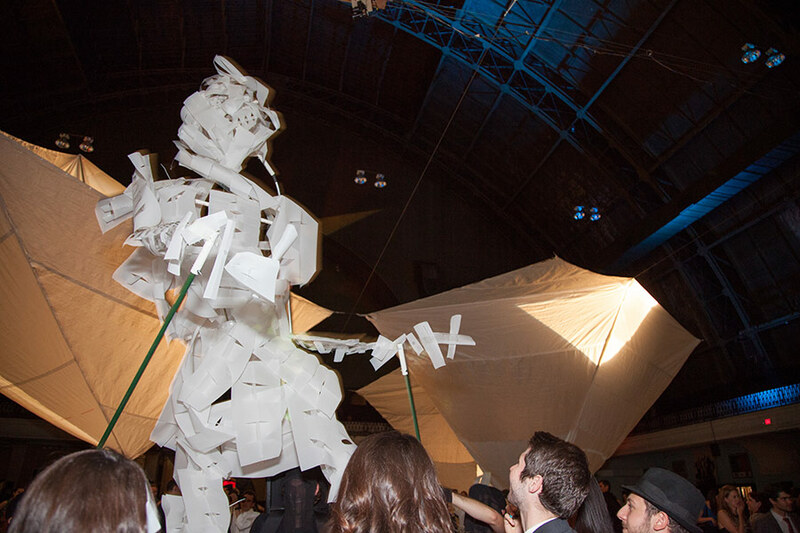 In all, over $100,000 was raised for the League. 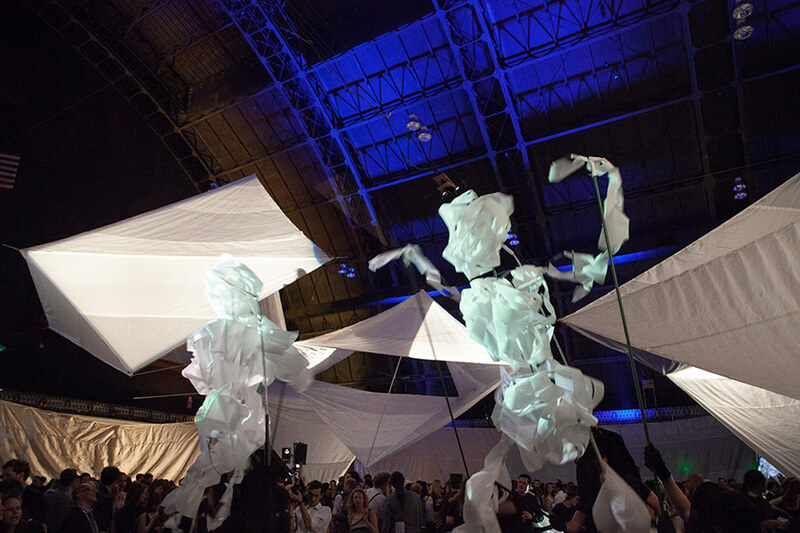 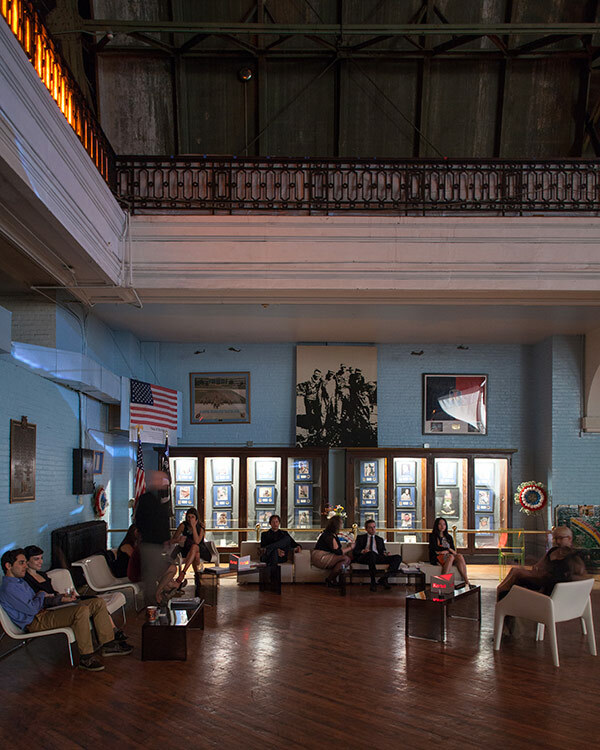 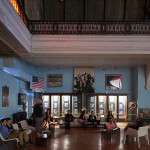 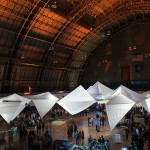 SITU Studio designed an installation to bring scale to the cavernous armory space, working with Renfro Design Group on an integrated lighting scheme. 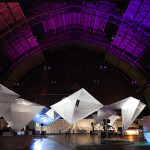 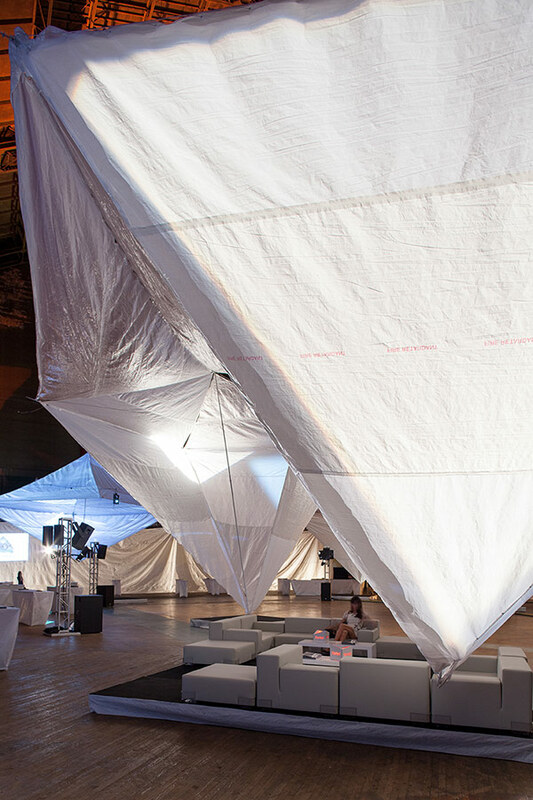 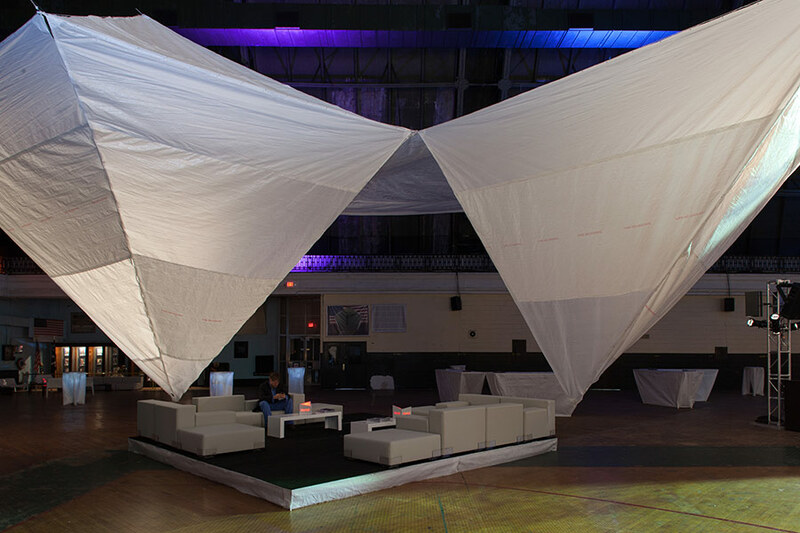 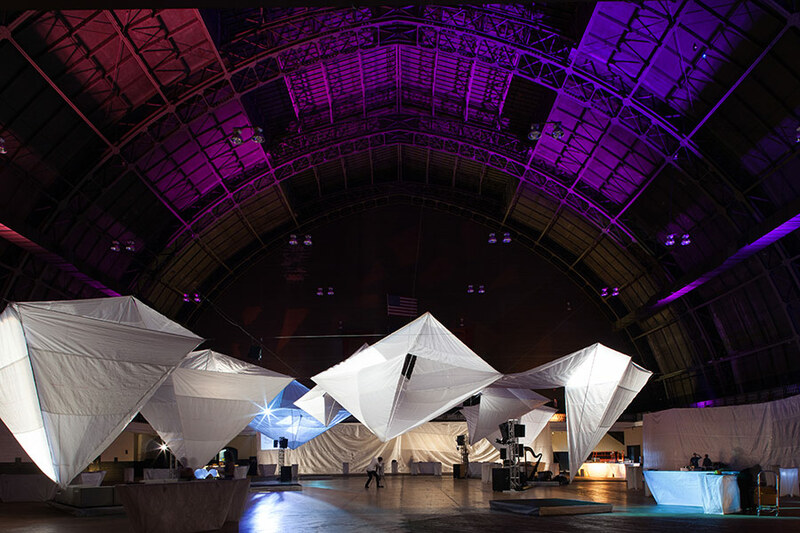 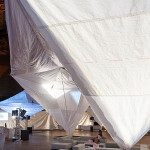 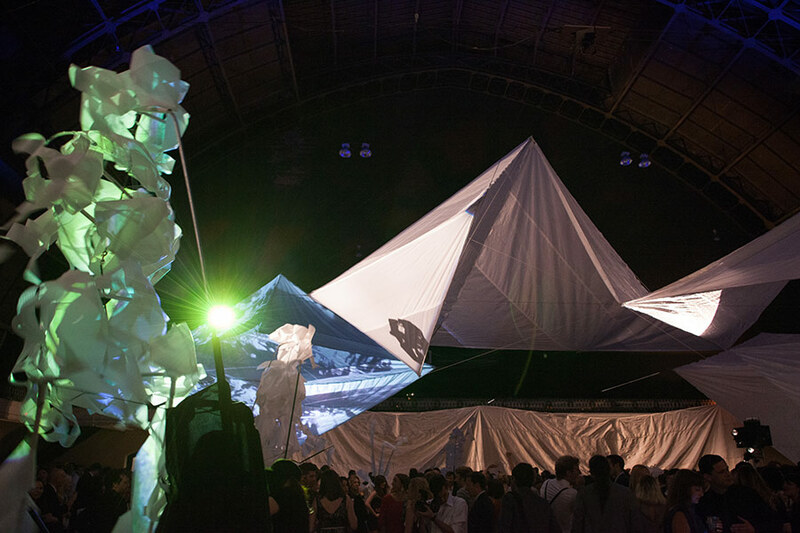 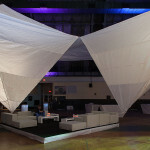 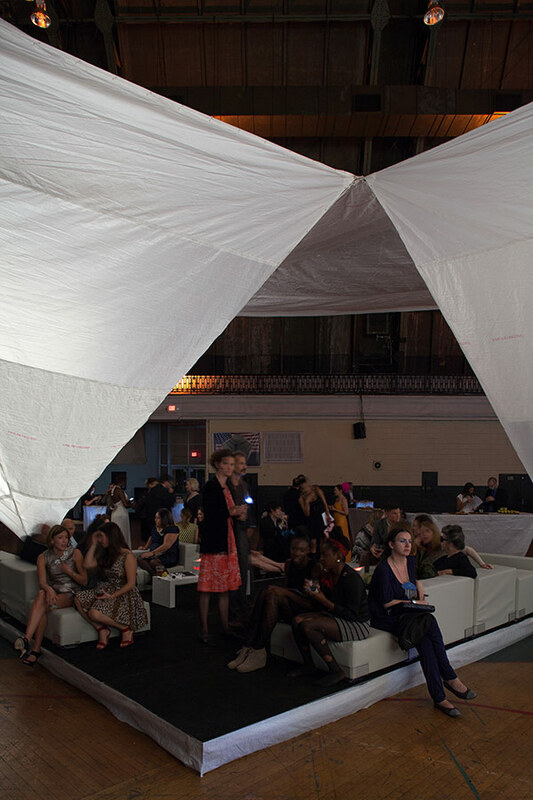 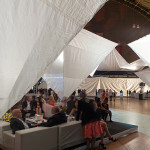 A series of white fabric prisms were suspended from the ceiling, serving to humanize the space while providing an armature for digital projections. 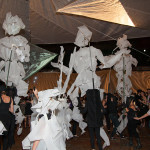 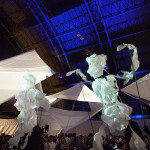 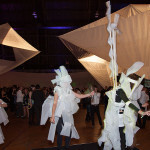 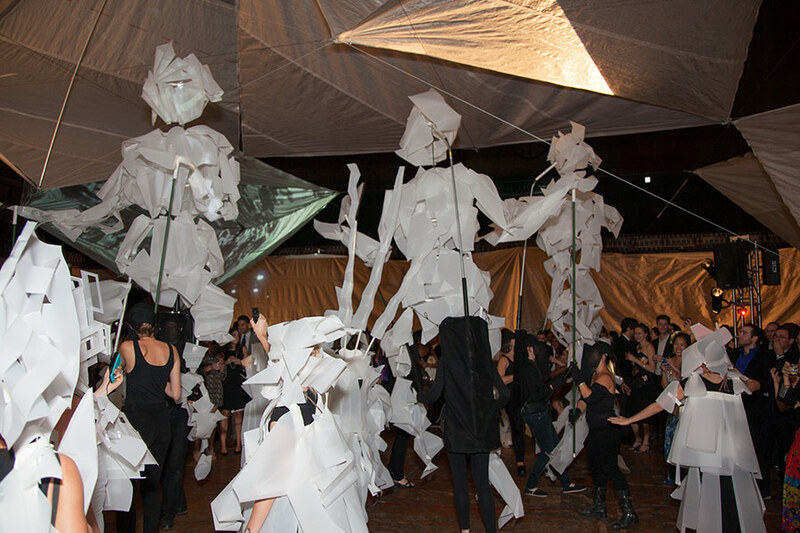 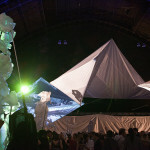 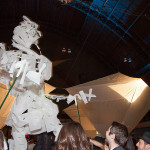 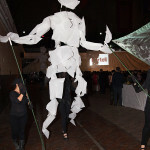 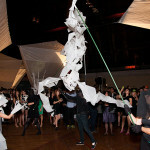 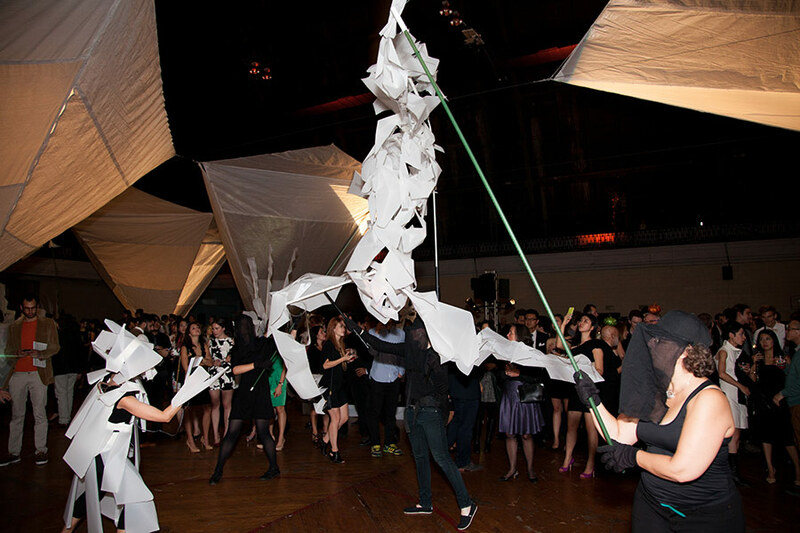 Pulsing music built excitement throughout the night, which culminated in a procession of giant vellum marionettes, each controlled by a team of three performance artists, and a troupe of vellum-clad artists wandering through the armory, encouraging attendees to dance.